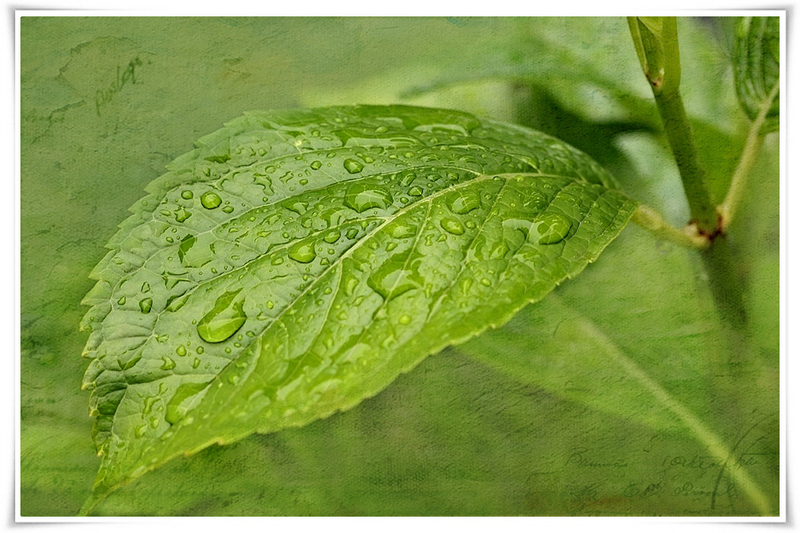 " Raindrops are like fairy whispers." 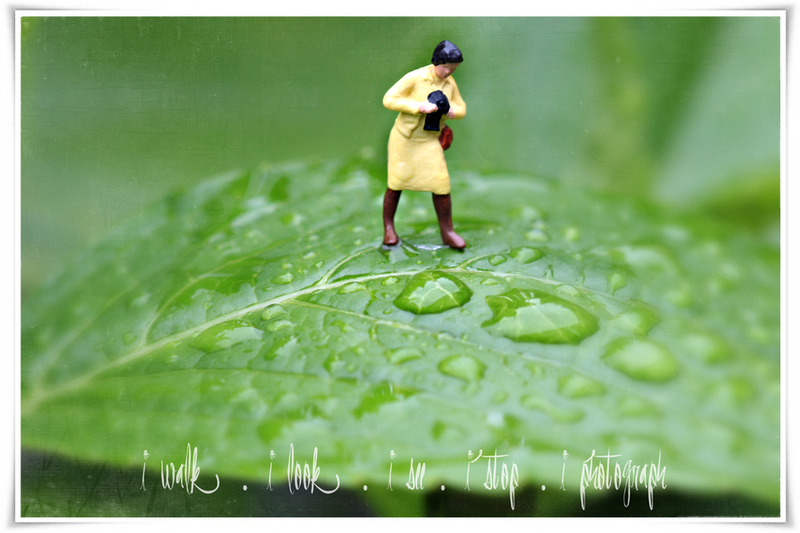 I discovered the wonderful world of scale figures photography. 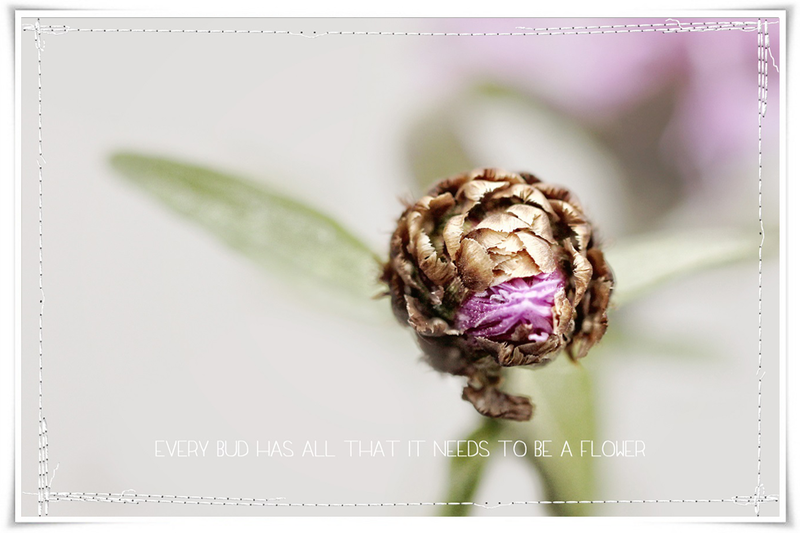 "Every bud has all that it needs to be a flower." 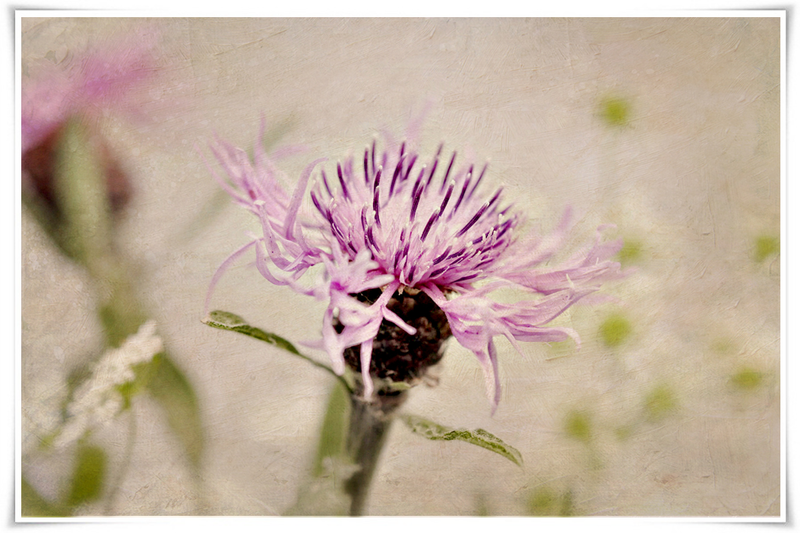 "One person's weed is an other person's wildflower." Oh Barbara, was für wundervolle Fotos! Love your post title for today. This is our mission, and maybe our mantra, too! 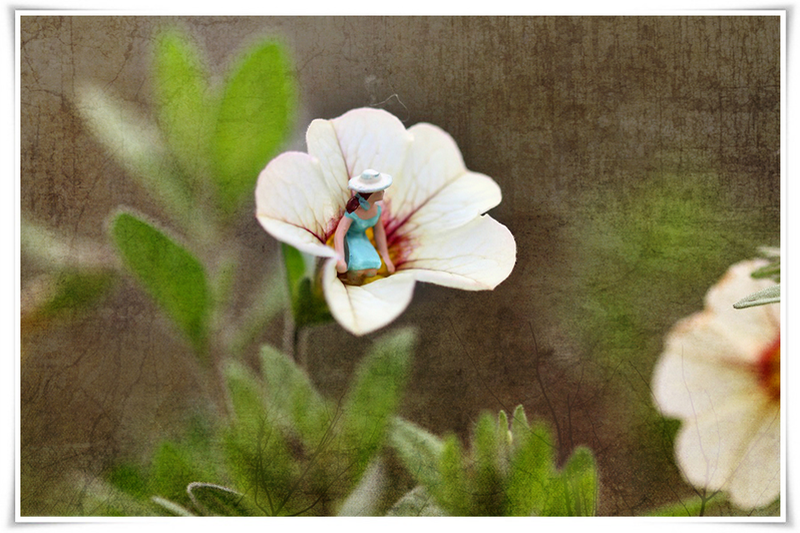 Beautiful flower images today, and I just adore the whimsical addition of the little miniatures - especially the lady with the camera. Could that be one of us? Always stopping for just one more photo? The last two are simply gorgeous and the the top tow well something else just so cute and just so wonderful and creative. They are gorgeous also just so well thought out Barbara with the little people, what a find with the little person and the camera. Love the post Barbara. Dit geeft weer een andere dimensie aan fotografie. Prachtig Barbara! Beautiful images and I love the fun of the scale images. Superb! Je bent een ware kunstenaar. Wat een leuke combinatie is dat. In zo'n bloem zou ik me ook thuisvoelen. this amazing pictures!!! Charming Thumbelina in flower))). Wat grappig, die poppetjes zijn zo mooi het maakt de foto nog interessanter. Oh my gosh, this is too cute, Barbara. I love that fairy quote, and the girl in the blossoming flower is magical. What a wonderful post this is. You certainly have a way with pictures. They are simply delightful. That lady with the camera is so sweet. oh my word...I gasped when I saw the leaf photo because it was so astounding...and then it had the miniature figurine - unbelievably spectacular! I enjoyed my visit here!!! Wat schattig die kleine poppetjes op je foto's verwerkt. Het is niet alleen heel leuk, maar de kunst om zoiets te bedenken is al grandioos. LOVE your work today Barb! Those cute fairies!!! It's like going into the forest and really finding them alive! Wonderfully done...so fun, so pretty!!! Have a lovely week!!! i really love this photos, they're very stunning! These are very fun, Barbara! Nicely done - and I love your quotes! Gorgeous flowers and I adore the little figures (especially the photographer!). What a wonderful post - brought a big smile to my face. But the photos with the raindrops must be taken already some days ago - I assume you've the same hot summer weather in the Netherlands like we have here in (the south of) Germany. In the afternoon we expect to get up to 35°C!!! What a wonderful find...your mini photographer! I love how you set the one tiny person in the flower! A magical and uplifting post! These are fun. Cute figurines.